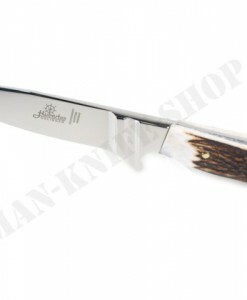 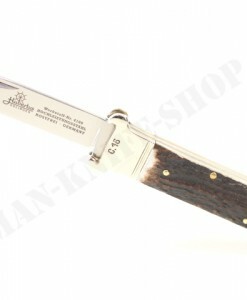 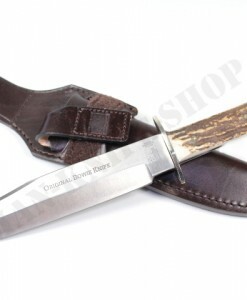 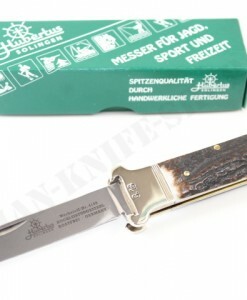 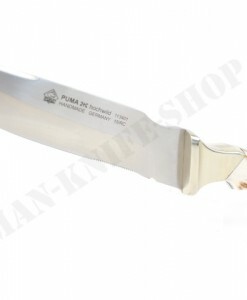 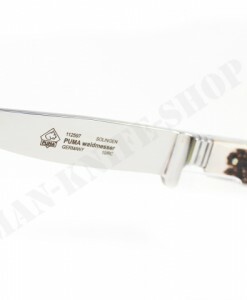 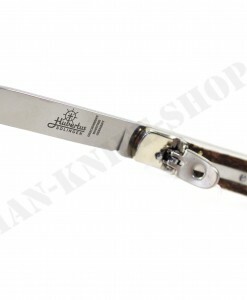 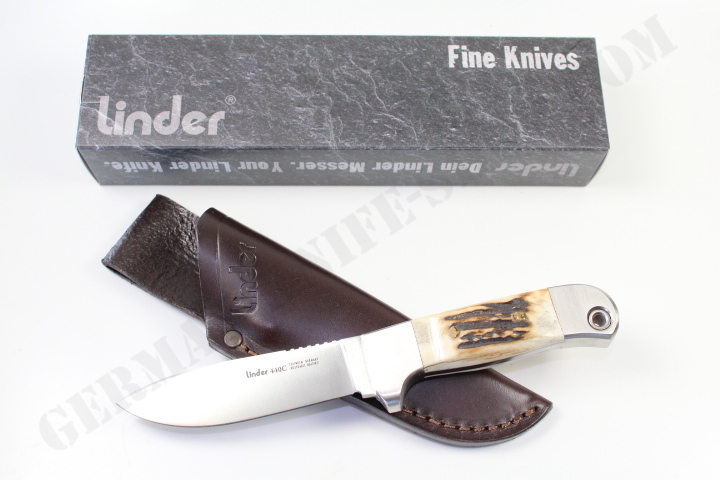 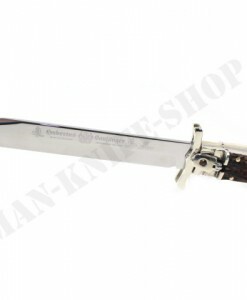 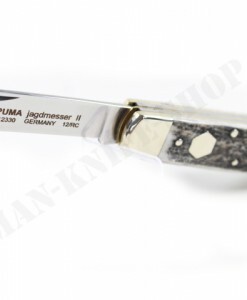 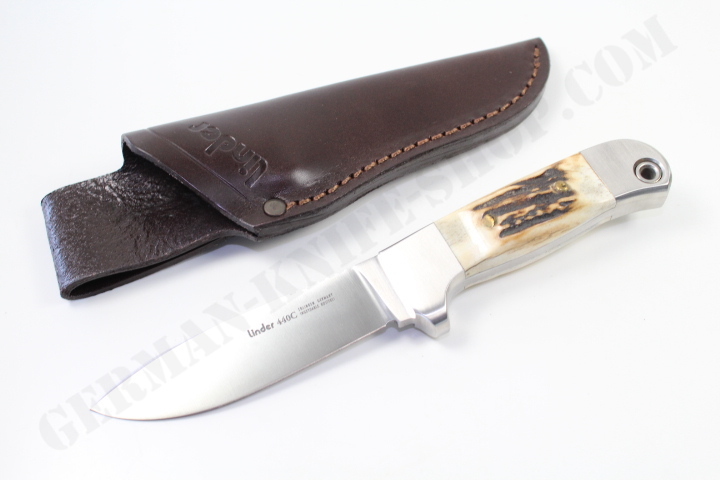 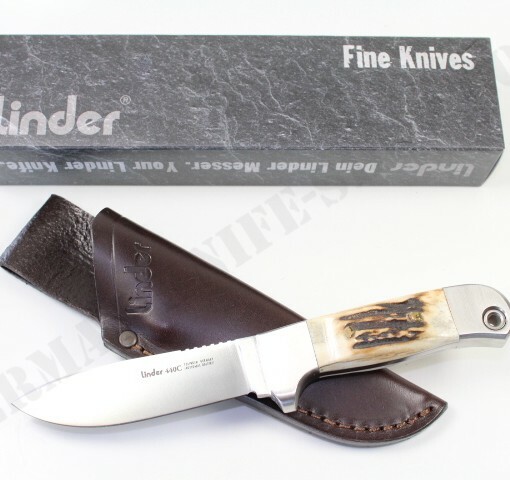 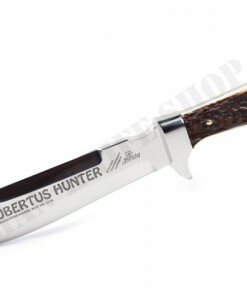 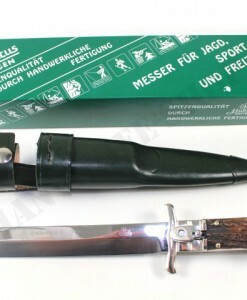 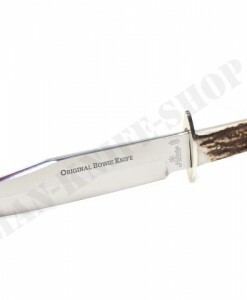 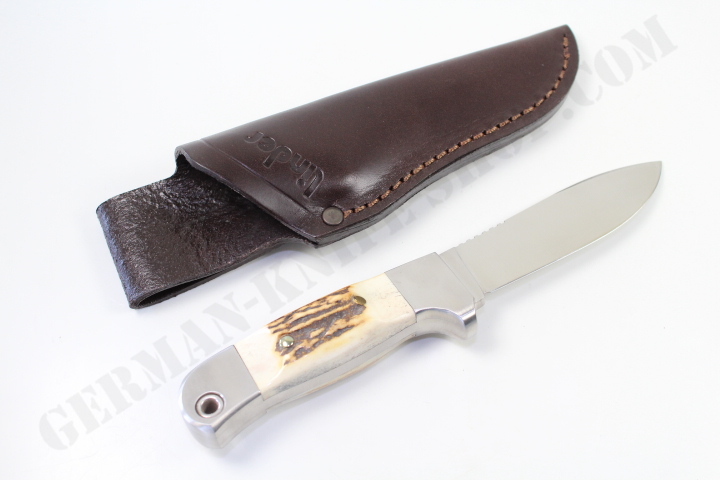 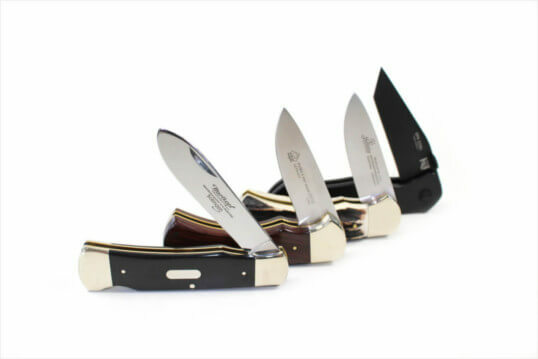 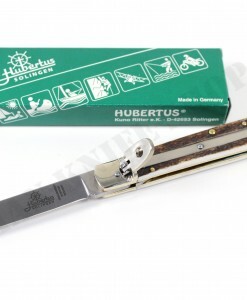 Awesome German heavy hunter with 440C stainless steel blade. 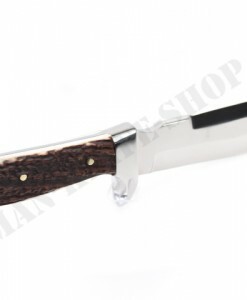 Real stag handle. 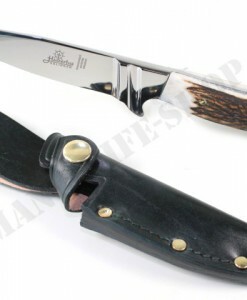 Stainless bolsters. 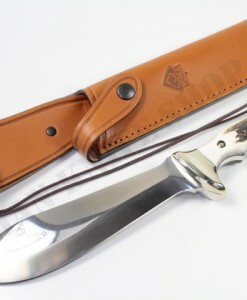 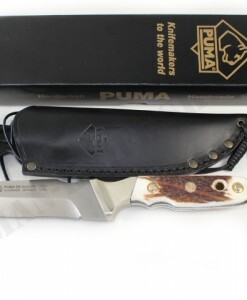 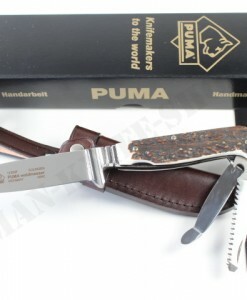 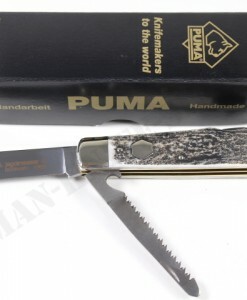 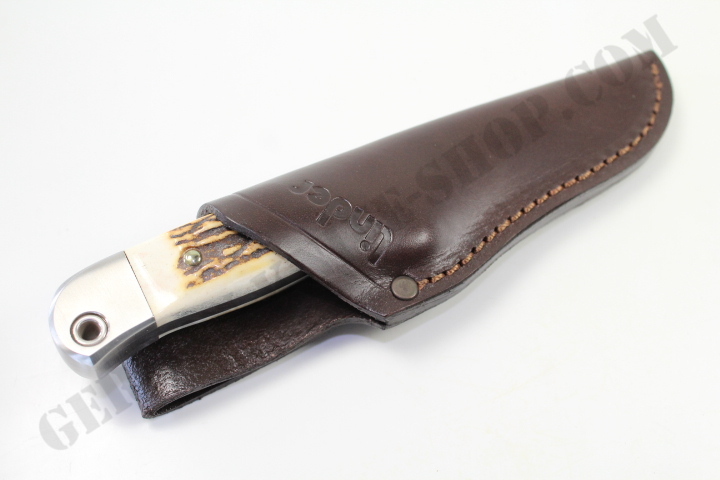 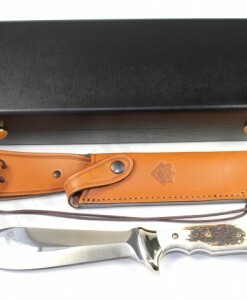 In leather sheath type S70. 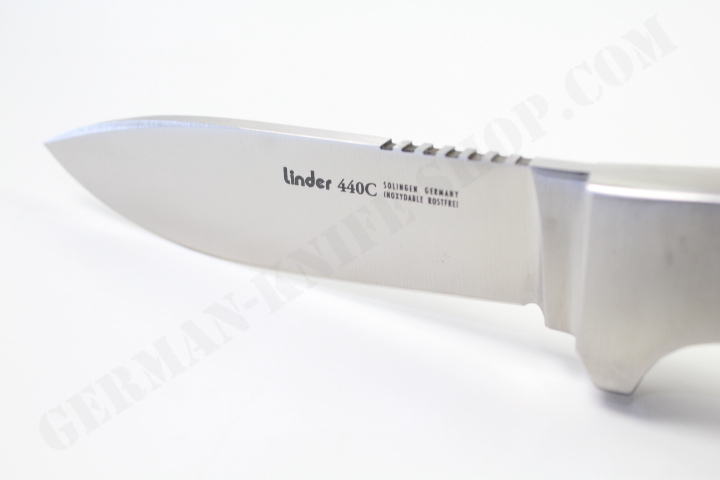 4” blade.